Bermuda - 1 person likes this. t may be one of the best ways to see the beauty of Bermuda. The train system in Bermuda was short-lived, but its legacy is a National Park trail that is a gift to islanders – and visitors to the island – for generations. In the '30's and '40's, the train, fondly known as 'Old Rattle and Shake', spanned the island 22 miles across, from east to west. It ceased operations shortly after WW2. But then something quite wonderful happened. 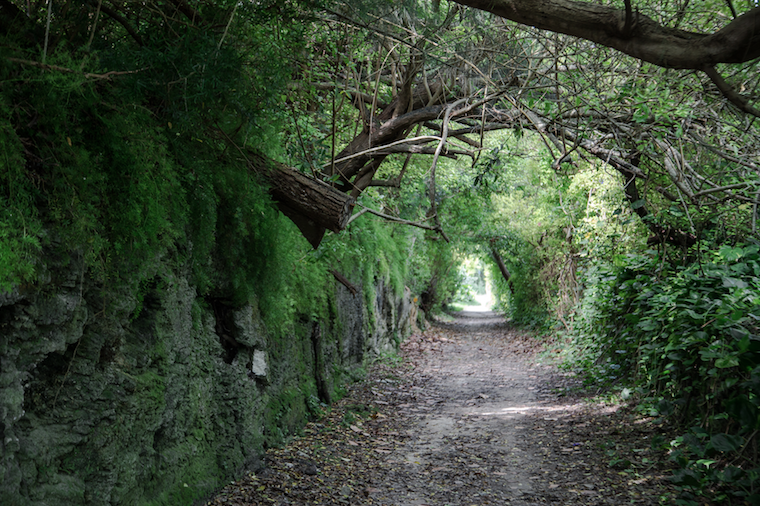 With the rails removed, the right of way began to be used as a trail for hikers and cyclists, and the trail became formalized and maintained as a National Park of Bermuda for all. Now, 18 of the original 22 miles of the railway take you through and past some of the island's most memorable landscapes. Breathtaking remote beaches and quiet woodlands. Challenging slopes and tranquil stretches. Lush foliage and city streets. Panoramic ocean views, and many photo-calls along the way at beaches, caves and even a lighthouse. 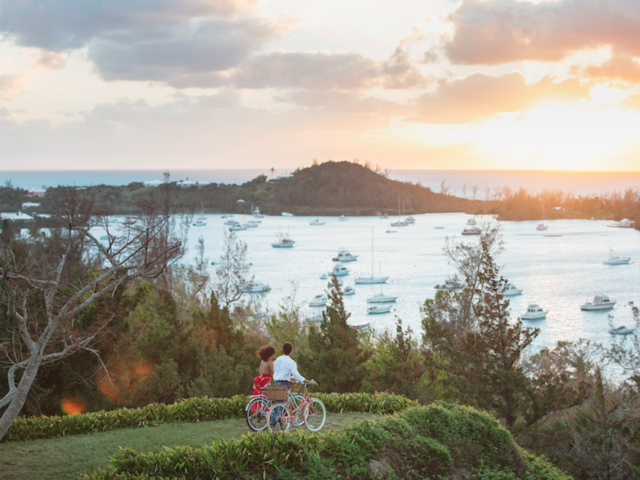 If you're in Bermuda for a one-day port of call on your cruise, or staying in one of Bermuda's famously hospitable hotels, cycling this trail is one of the best ways to get off the beaten track and see the non-tourist side of Bermuda. You can enter and leave the trail at either end or at multiple other points along the way as it crosses through the parishes of Bermuda. The trail is made up of sections as short as only a mile, and as long as nearly 4 miles. So you don't have to commit to the entire 18 miles – or at least, not all in one day! The trail is not continuous. Like the original railway, it traverses busy roadways, communities, bridges and other places you may need to dismount and cross by foot. There's a free Railway Trail Guide, and you can pick one up from a Visitor Information Centre: at Bermuda's Royal Naval Dockyard, in Hamilton, or St. George's. 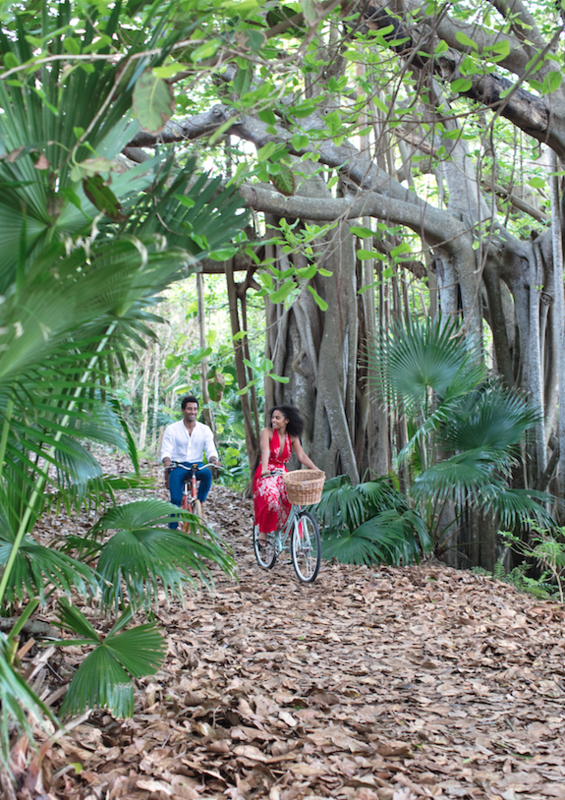 Words matter, and in British-influenced Bermuda, a 'bike' is motorized. What you want is called a 'pedal bike' or a bicycle. (No motorized vehicles are allowed on the Trail). There are several places to rent bicycles across the island, and rentals are quite affordable, in the $30- 35 range per day. Some are near major hotels and hotel concierges can point you to the closest. You can even make a reservation for bicycles, have them delivered to your hotel and picked up when you've returned. Or take a guided bike tour for groups, so you join like-minded active travelers and have a guide point out some of the highlights of the trail. Bermuda's Railway National Park is one of the hidden gems of the island; and cycling is one of the best ways to get off the beach and the beaten track, enjoy an active day on vacation, and experience some of the most beautiful scenery and serenity on the island.